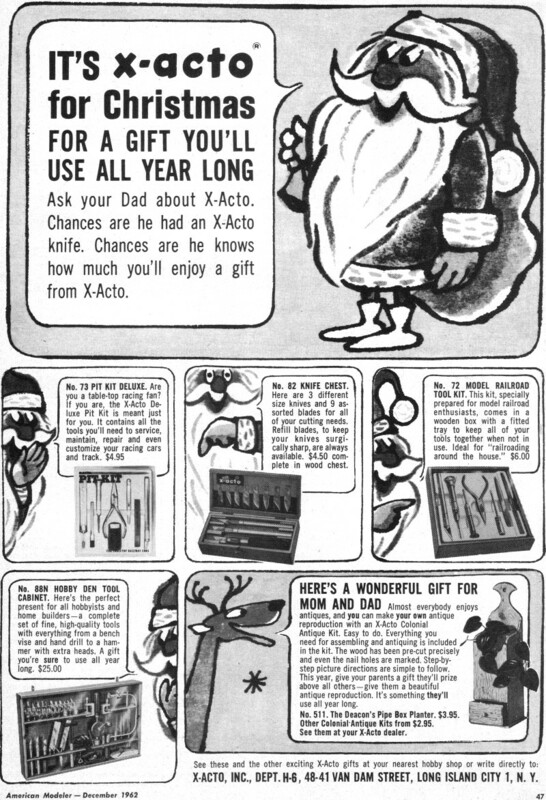 Here is a full-page advertisement for X-Acto products that appeared in the Christmas edition of American Modeler. I remember seeing X-Acto knives in the few modeling magazines I could lay my hands on when I was young and just becoming aware of the wonders of model building. 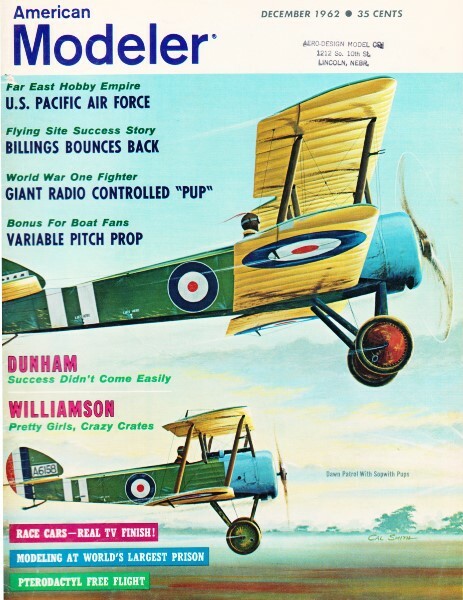 Since there were no hobby shops nearby and I had not yet learned the fine art of mail ordering, my razor blade supplies were limited to digging double-edged shaving blades from my father's dispenser. It was sometimes a bloody affair using those things for cutting balsa. Until I got older and acquired my own set of tools, the selection around our house was pretty sad - maybe a dull hand saw and a gnarled straight-blade screwdriver (Phillips' screws were too new-fangled for my father). For nearly a century, the name X-ACTO® has been synonymous with precision cutting. Since the early years when X-ACTO surgical blades were saving the lives of American soldiers, through today when you can find X-ACTO cutting tools and office supplies in art studios, homes, offices and classrooms across the country, X-ACTO has been the first choice when precision and quality matter. X-ACTO honed its very first blades and knives from the highest quality steel, engineering them for maximum sharpness and durability. While that hasn't changed, the breadth and variety of products we offer has expanded with our customers’ needs. Generations of crafters, teacher, hobbyists and artists, office professionals, students and moms have all turned to X-ACTO for the high quality precision tools they need to pursue their livelihoods, indulge their passions and bring projects, creations and memories to life."